Page Six reports that Pine was seen “dining at hot spot Le Diplomate” in Washington, DC, where the movie is being shot. 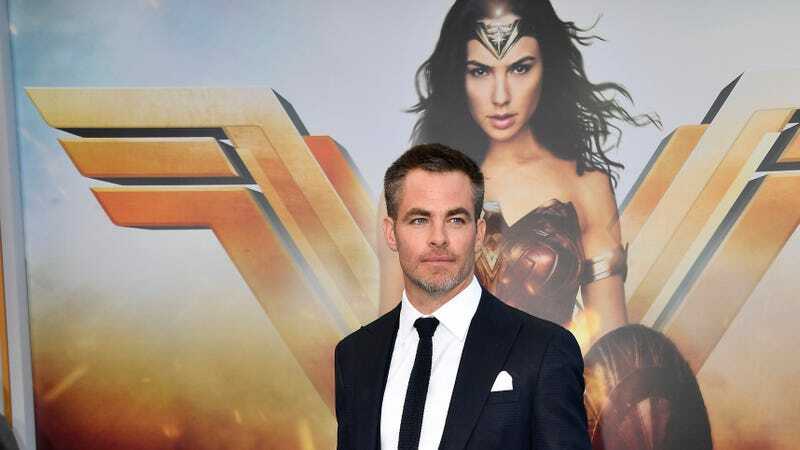 Sure, Chris Pine has the right to hang around, on, or near the Wonder Woman 2 set if he well pleases, but it’s curious because his character Stiv/Steve (Gal Gadot’s love interest)—HUGE, MOUNTAIN-SIZED SPOILER IF YOU HAVEN’T SEEN WONDER WOMAN, WHICH CAME OUT IN JUNE 2017–seemingly perished in the first film. An Instagram video put up this week, and later taken down, claimed to show footage of Pine on the actual set leading to multiple theories on how he could fit into the new story — whether in a flashback or as a modern-day ancestor of Trevor. We would be okay with bringing him back.